Quick question – which of these do you think Architects really do? Create and design Architectural deliverables. Generate solutions to a client’s requests. Use emerging technologies to create innovative ideas to help their clients reach their full potential. The answer is in fact all of these. Yes, it’s true that architects really do get involved in quite a broad range of activities. I’m going to give you a closer look into what I personally do on a normal day in my role as an apprentice Infrastructure Architect. I perform a variety of tasks but I’ll start from the beginning. When I arrive at work I need to check my email as there may be some important tasks from other members of my team. This also gives me a chance to see if I have had any replies to questions or requests that I have sent out, whilst also seeing if there are any updates amongst the communities I am a member of. As sad as it sounds, I quite enjoy catching up on my emails in the morning as it sets the flow of the day. Whilst checking my emails I also see what meetings or calendar invites I have been sent so I can plan my day around these. These two pretty basic tasks help me to get organised and prepared for the day ahead. On the account I am currently on, one of my main tasks is to review work requests for capacity management of servers and the allocation of these servers in their physical racks. This is an ongoing task for myself and helps to develop my knowledge of the accounts infrastructure. The requests for placement are sent across from various different team members on the accounts and it is my responsibility to place these correctly and supply the corresponding information back to them. On this account I am also the Governance manager for all architects. This involves taking on board the work that each architect is doing and then formatting this into an easily understandable format and passing it to the chief architect, this allows him to correctly request and supply resources when necessary. As the Governance manager I also deal with all the key collateral documents on the account that help, as suggested by the name, govern the architecture work stream on the account. This requires some time with the chief architect on the account to discuss details of what we are delivering to the account, and relay these details to other architects. One of the governance documents shows the technical overview of the account and what we have promised we will deliver to the customer regarding technology, as you can imagine it’s very helpful for myself. I also go to meetings to discuss work deliverables, which helps to build my knowledge for tasks both internal and external. The majority of my meetings are client facing which helps to build my confidence but I do also have internal meetings. In the internal meetings with other IBMers we discuss new patent ideas and review existing ideas that may need a bit of work. We also have catch up teleconference meetings to see what other apprentices are doing, whether this be the architect apprentices or the wider apprentice community, as well as “Lunch and Learns” which are very informative as some of them relate to new emerging technology or roles that I work alongside. In the Architecture role, I’m helping to create supporting documentation for other architects including the chief architect on the account. This helps me to get a better understanding of the account and also build core knowledge on the documentation process for myself to use later on down the line. It’s beneficial to myself as an apprentice architect also because it can be used for part of my assessment evidence. Sometimes it can be daunting as when I come across a new document I haven’t seen before I like to try having a go for myself before asking multiple clarifying questions. As any and all apprentices will say during their apprenticeship, I spend a segment of my working week writing up part of my OCR Mapping document. This involves finding and refining evidence from past activities as well as asking team members to give a statement to help reinforce the evidence I have obtained. I regularly speak to my buddies regarding any work queries or apprentice queries, but also just to chat and catch up with them as I’ve become quite good friends with them. They are always happy to chat and listen to any problems I have and help to find a solution to them, or point me in the direction of someone that may be able to help. Some of the information I manage in my role is requested by other teams, for example capacity management details. When these requests come through, I look through the information I have available to me and then send on the relevant data. If I don’t have the data I advise them who might have it and pass on their request. Throughout my day I receive and send emails, so it is vital that I keep on top of emails that I’ve received through the afternoon as they may be requests for vital information. I do spend parts of my day, but not every day, looking through and diving deeper into education. This education can be role specific or a more general topic that IBM suggests may be helpful to take some time to learn. Of course I do the important task of getting a cup of coffee, for myself, to help keep the energy high on more demanding tasks. It’s me again! I know it’s been a while since I last posted but I thought I’d use some downtime productively and fill you in on some exciting milestones I’m currently experiencing in my time as an IBM Apprentice. If you’re an avid and regular reader of our Blog, I’m sure you have a general gist of how the Apprentice scheme at IBM works. You join as a permanent IBM employee from day one, have two weeks of essential induction being taught how to work the IBM way safely and professionally, start in real roles, doing real work with real Clients, attend tailored IBM education courses to improve professional effectiveness, teamwork and communication, as well as learn how to handle relationships with the Client and during all this you are looked after by the Foundation team for three years. You will also know that by the time you come to the end of the three years, the essential part of proving your education to earn the qualification, graduation and progression into the business as a regular IBMer await you. As you may have read from my previous posts, I am now in that crucial, final stretch of the Apprenticeship and have achieved my Apprentice qualification. What has happened since then? I officially graduated! 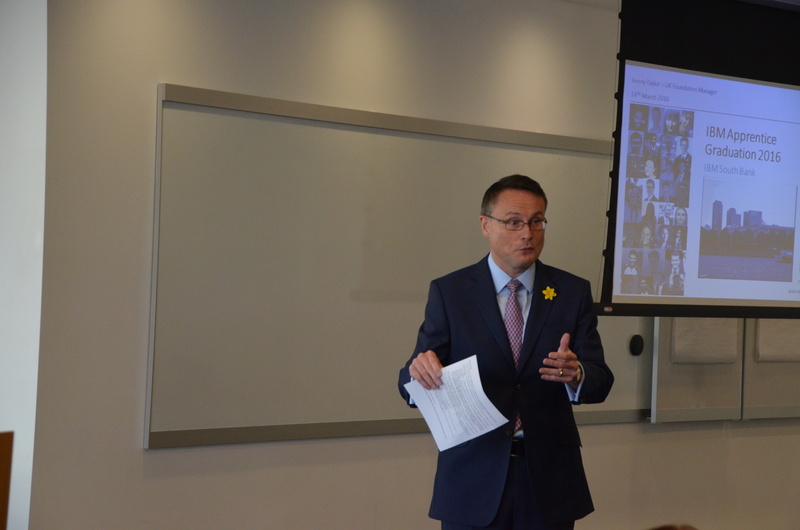 On 14th March 2016, coinciding with the start of National Apprenticeship Week (read what IBM Apprentices did here), we celebrated the graduation of 28 Apprentices (including myself) who had worked hard over roughly two to three years and achieved their Apprentice Qualifications. 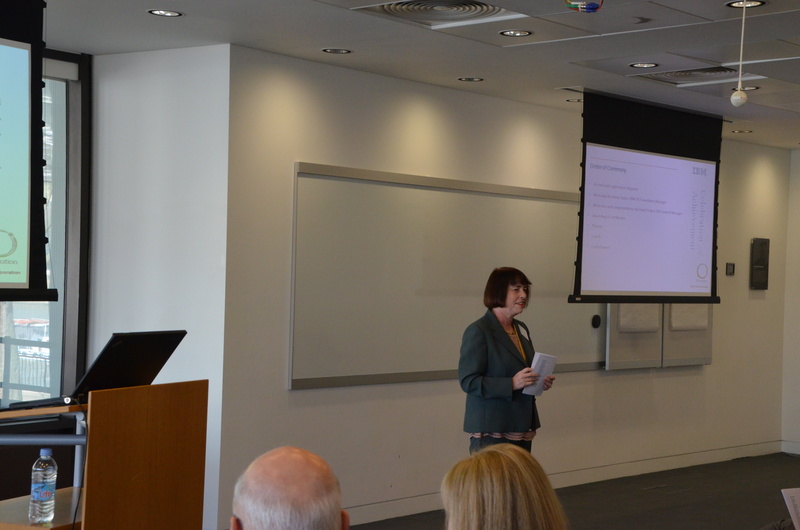 The Graduation day was held in IBM Southbank, London, and celebrated the success of the Apprentices over the two-to-three years as well as continually blowing the trumpet for the opportunities and success for Apprentices in general. 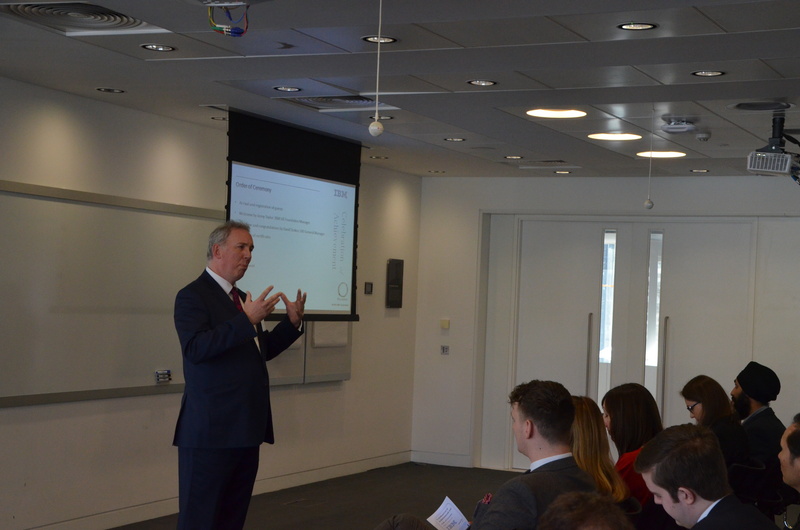 IBM UK General Manager David Stokes was also in attendance of the event and explained his passion for Apprenticeships and the impact Apprentices have had for IBM in the UK. Along with David, we also had a talk from Foundation leader Jenny Taylor and the Apprenticeship leader Jez Brooks. Also, a special mention to the many parents, siblings, partners and friends that came along to celebrate! Once the Graduation day ended and all the handshakes and certificates had been given out, many Apprentices disbanded from their family and friends and joined other Apprentices in various drinking establishments to celebrate the proper way. Once the fun of Graduation and the celebration of being Apprentice went away and the normality of work returned, what did I do? I begun working on my promotion case. The criteria for an Apprentice to progress from Foundation into the business as a ‘normal’ IBMer is to create a promotion package in an IBM tool called Career Framework and provide the relevant evidence so, once approved, you would be proposed for the next promotion level. The promotion package pretty much sums up the work you have done as an Apprentice and allows you to progress and obtain higher levels if that is where your ambitions lie. I recently had my promotion approved which means that any day I will receive communication that I have been promoted which is a very important milestone in anyone’s career and especially important when you’re an IBM Apprentice as it would mean that you are now being progressed into business and will be considered just like any other IBM. I’ve been told by a few ex-Apprentices that the journey really begins once you’re promoted!